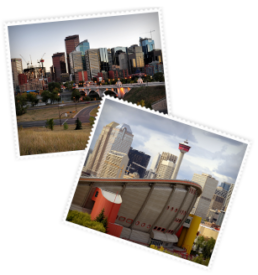 The Sundance community was one of Calgary’s first master-planned communities, and that means it comes with all the fun things to do and local services that one would expect in a newer Calgary community. Explore a sampling of Sundance’s amenities below, and feel free to get in touch with us if you have any questions. The Sundance community is centred around a 33-acre lake that is perfect for swimming, fishing, kayaking, and row boating. Lake Sundance is a hub of activity for residents and delivers plentiful opportunities to play. Residents can make a splash in the summer months when the sun is hot and the days are carefree; in the winter, the lake transforms into a skating rink perfect for family skates and hockey games. Beside the lake, Sundance Park offers additional opportunities for family fun. Four tennis courts, a basketball court, hockey rink, and children’s playground are all located in the park, as well as walking paths and resting points. The largest urban park in all of Canada, Fish Creek Park is an environmental wonderland and an exceptional amenity to have nearby. The park’s trails are extremely popular, and the unique habitat is a great place to see local wildlife. The park also boasts numerous picnic facilities, an Environmental Learning Centre, and the seasonal Sikome Aquatic Facility and Sikome Lake. More than 3 million people per year visit Fish Creek Park. Sundance is located directly easy of Shawnessy Centre, a major retail and leisure destination. This outdoor mall-style district features everything a person could need: coffee shops, large and small retail outlets, and restaurants are found alongside banks, grocery stores, and a gas station. Shawnessy Centre serves as a one-stop shop for Sundance residents, making life in the community extraordinarily convenient. The local residents association works hard to ensure that living in Sundance is an enjoyable experience for everyone. The association organizes numerous events throughout the year, including resident field trips and local celebrations. Holiday parties, Movie Night On The Beach, Stampede Breakfast, and the Perch Ice Fishing Derby are some of the exciting events that have occurred in the past. Sundance’s convenient location near Marquis of Lorne Trail (also known as Highway 22X) makes it easy to explore the lands beyond the Calgary limits, such as Bragg Creek and Kananaskis. This major road makes Sundance the perfect opportunity for those who crave both a suburban lifestyle and easy access to outdoor adventure.